“People are credulous creatures who find it very easy to believe and very difficult to doubt.” – Dr. Daniel Gilbert, Harvard University. Could the world be any more chaotic? Tumultuous? Fractured? Out-of-control? Heading pell-mell for somewhere-nobody-knows? Or is it just human history repeating itself? Or is it all part of a grand evolutionary scheme? The blinding glimpse of the obvious is nobody knows. And yet, we act as if we do know. As if we have a purpose and do know what we’re doing. And why we’re doing it. Or at least some of the species do – the ones at the top of the human pyramid, at the top of the pyramid that world-renowned evolutionary biologist, Ernst Mayr called “lethal intelligence.” Mayr’s theory is succinctly described in an article by Noam Chomsky regarding a debate between Mayr and Carl Sagan. Sagan, for his part, was one of the most humble and brilliant men of the 20th century. His contributions to the reality of the human species’ underwhelming importance have been countless and his was a life done to soon. Here’s an excerpt from his book, The Pale Blue Dot: (also see earlier blog and video: The perspective of the Pale Blue Dot). When renowned biologists and astrophysicists like Mayr and Sagan tell us that our time may soon be up and that we are not capable of saving the human species … perhaps we should do a little more deep thinking. Or do we just continue to sink in the quagmire of self-importance and self-delusion, fueled by the holy grail of science and buried under fake news, alternative facts, disengagement and disillusionment? All the while, continuing to accept straw dogs like Donald Trump, Hillary Clinton, Vladimir Putin, Steve Bannon, Janet Yellin, Jamie Dimon, Pope Francis, Jesus of Nazareth, Muhammad and Abu Bakr al-Baghdadi, Are they not all “straw dogs?” Their purpose is to lead us away from Darwin’s foundational findings, marching forward to the upbeat, incessant belief in human progress, the biggest fake news ever perpetrated. “The idea of humanity taking charge of its destiny makes sense only if we ascribe consciousness and purpose to the species; but Darwin’s discovery was that species are only currents in the drift of genes. The idea that humanity can shape its future assumes that it is exempt from this truth.” – John Gray, Straw Dogs: Thoughts on Humans and Other Animals. In 2007, John Gray, professor at the London School of Economics, philosopher and author, published Straw Dogs: Thoughts On Humans and Other Animals, a perspicacious and denouncing attack on the concept of human progress. It’s brilliant. Eye-opening. Thought-provoking. And shreds human illusion. Gray states, “Straw Dogs is an attack on the unthinking beliefs of thinking people.” And his insight and intertwining of sociobiology, history and the human condition will not only make you think, it may well undo much of your mental reservoir of assumptions and beliefs – for the better. “George Orwell’s Animal Farm woke us from a deep sleep filled with dreams of enlightened humanism. John Gray’s Straw Dogs forces us to face the mirror and see ourselves as we are.” – James Lovelock. Dare we see ourselves as we are? Daniel Gilbert, professor of psychology at Harvard, wrote a paper, How Mental Systems Believe in which he quotes Bertrand Russel: “Believing seems the most mental thing we do … [and is] the central problem in the analysis of the mind.” In other words, figuring out what and why we believe what we do and why we do what we do is critical in seeing “ourselves as we are.” Gilbert asserts: “People are credulous creatures who find it very easy to believe and very difficult to doubt. In fact, believing is so easy and perhaps so inevitable, that it may be more like involuntary comprehension than it is like rational assessment.” Gilbert wrote this paper in 1991 and yet it seems much more relevant today amid the tumult of fake news, alternative facts and lies. Gilbert added, “Just as we are compelled to believe immediately that which we see, so too may we be compelled to believe that which we hear and say. In either case, our belief may last for only a moment before it is unraveled by reason.” Reason? Therein lies the rub. System 1: Operates automatically and quickly, with little or no effort and no sense of voluntary control. System 2: Allocates attention to the effortful mental activities that demand it, including complex computations. The operations of System 2 are often associated with the subjective experience of agency, choice and concentration. 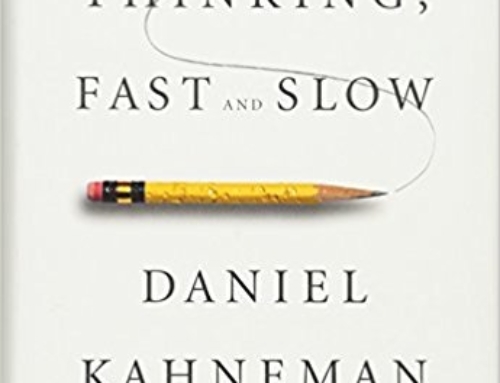 Kahneman confirms what Thomas Edison said more than a century ago, “There is nothing man won’t do to avoid the difficult task of thinking.” And these intellectual giants were not simply referring to non-academic and non-leader categories, they meant damn near everyone: You, me, Trump, Trudeau, Dimon, Yellin, Buffett, Gates, et al. Humanity. Although Gray and Kahneman agree on the genetically induced veneer of human thought, Gray goes further and contends that regardless of our intellectual capabilities and technological advancement, “It is a strange fancy to suppose that science can bring reason to an irrational world, when all it can ever do is give another twist to the normal madness. These are not just inferences from history. The upshot of scientific inquiry is that humans cannot be other than irrational.” As Carl Sagan rhetorically asked, “Is there nothing in here but molecules?” Darwin’s answer is an unequivocal yes, finding that humans, like all species, are a collection of genes reacting to their surroundings in nothing but the most basic and selfish ways (as covered by Richard Dawkins in The Selfish Gene – see earlier blog: Are Stumpf and Trump biologically connected?). “Man with all his noble qualities, with sympathy which feels for the most debased, with benevolence which extends not only to other men but to the humblest living creature, with his god-like intellect which has penetrated into the movements and constitution of the solar system–with all these exalted powers–Man still bears in his bodily frame the indelible stamp of his lowly origin. – Charles Darwin, The Descent of Man. Gray puts another another nail in humanity’s intellectual coffin when he states, “Humans cannot live without illusion. For the men and women of today an irrational faith in progress may be the only antidote to nihilism.” If Gray is right, there is no antidote for this human malady, but we need something to get us through the reality, a placebo. The prescription for modernity’s chaos and noise is work and action, even though they are only a distraction from the reality. Before deciding if you are an optimist or pessimist, a Pollyanna or a skeptic, read at least these four books – and then think about it.